Vietri Spring Vegetables Collection At Glassworks! 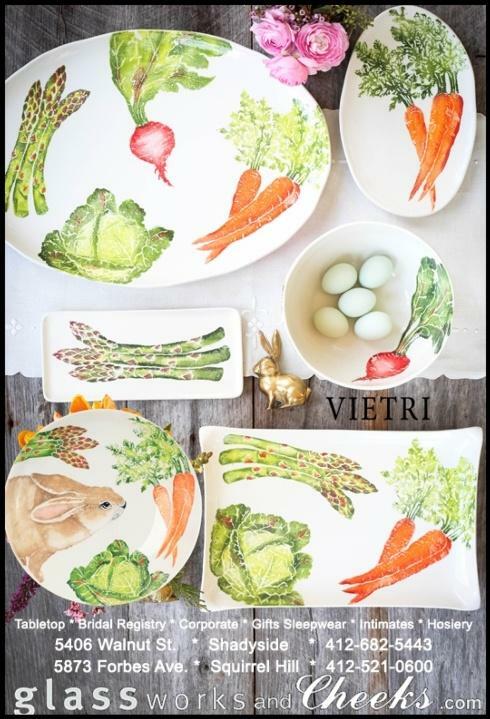 Vietri's Spring Vegetable Collection is here, just in time for Easter! Handpainted by maestro artisan, Gianluca Fabbro, using a unique sponging technique, an adorable hare and fresh vegetables depict vibrant pictures of spring. A colorful mix of spring garden classics come to life in an assortment of eating pieces and serving accessories in this beautiful collection, available at Glassworks in Shadyside.